For more information about this event, please contact Smells Like at camerayan@gmail.com. If you missed your high school Prom or always wanted to go, you’re in luck as Yanyan from After-After Party and Natalie of Shatalene are throwing you a ‘Night to Remember,’ on the 4th of May, 2019 in the Eaton Hotel ballroom. Inspired by Nat’s old American high school dance photos, Aquanet hairspray, fluffy dresses, Tom Selleck’s moustache and a recent viewing of Back to the Future, the two decided it was about time Hong Kong had their own Prom party featuring some of Hong Kong’s most exciting and entertaining bands, The Red Stripes, Shumking Mansion, After-After-Party and The David Bowie Knives. Get your Promposal ready, ask a date or just come solo! The night will be filled with rocking live music performances, a Prom King and Queen, photo booth, drunk chaperones and a corner to make out in. 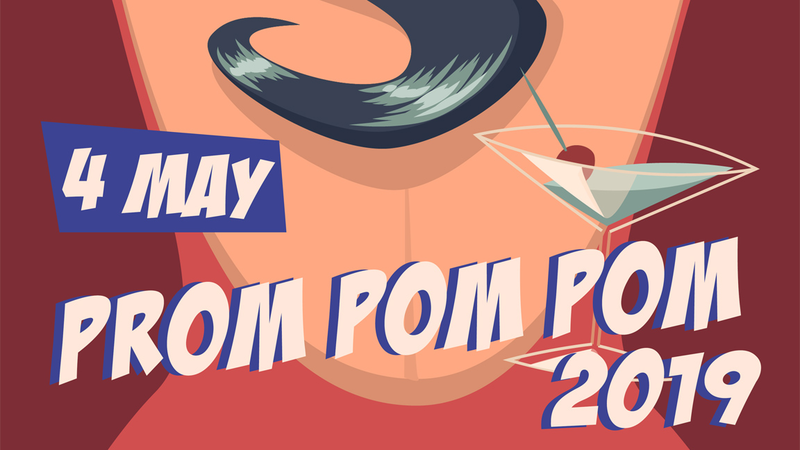 Dust off your suit and puffy sleeved dresses, polish your dancing shoes, buy gallons of hairspray and make your way to PROM POM POM 2019.